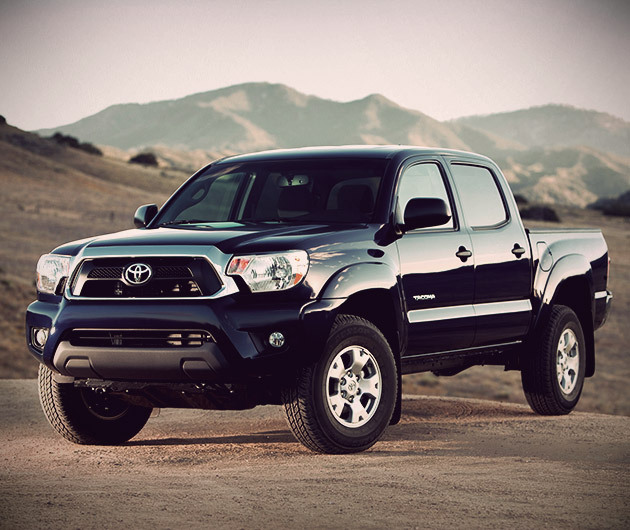 Toyota proudly state that this bad boy is "built for action" and many in the US clearly already agree for you may be surprised to learn that America’s best-selling compact pick-up truck is not one forged from these shores, but is in actual fact the muscly 2013 Toyota Tacoma. Here at GearCulture we can certainly see why. 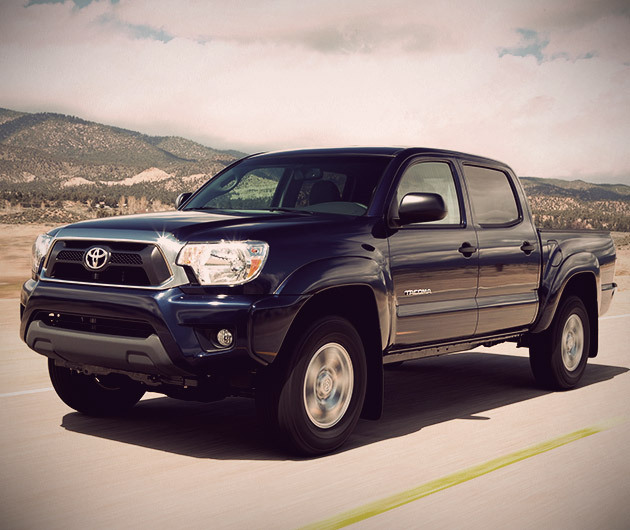 The Regular Cab version is priced between $17,325 and $22,505, depending on the options. It comes with a 2.7liter 4 cylinder engine as standard and is available in a two and four wheel drive. It has side and seat mounted airbags, a tire monitor system and a choice of a 4 speed automatic shift or 5 speed manual. The Access Cab comes with power windows and door locks, fold-up rear seating and a large rear hinge access door. Again, both two and four wheel drive options are available, with 4-6 speed manual and automatic transmissions and either a 2.7 liter 4 cylinder engine or a 4 liter V6. Will cost $20,315 - $26,585. 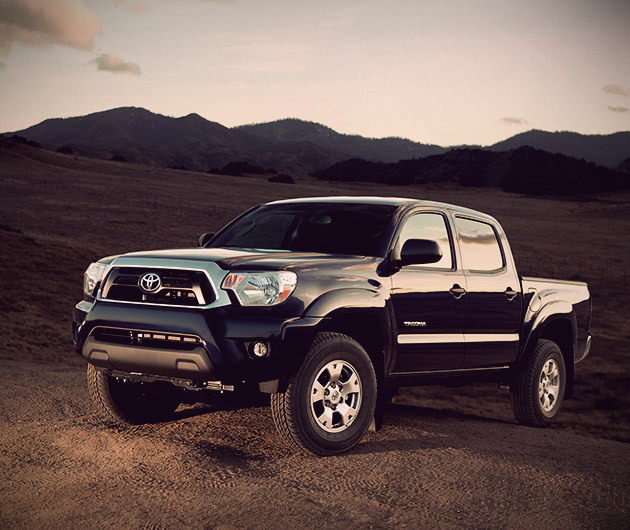 The Double Cab boasts the same choice of gears and engine sizes as the Access and likewise a two or four wheel option. The front seats have a center console, there are power windows, locks and mirrors along with a full rear 60/40 split bench seat and this one’s priced from $22,425 to $28,085. 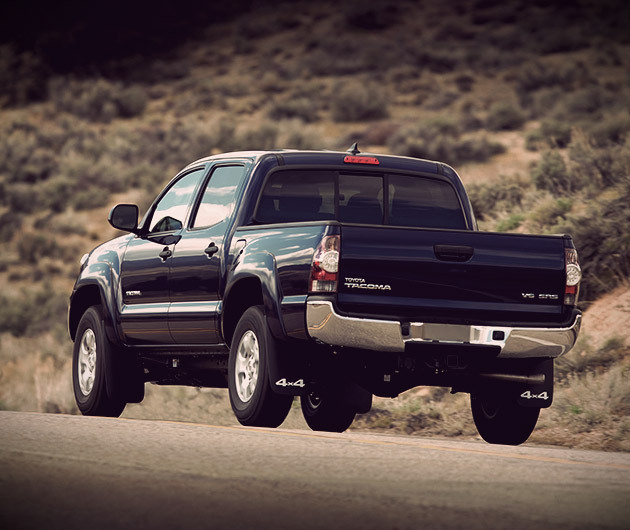 The X Runner, costing $26,675, is a 4x2 as standard with a 4 liter V6 under the hood. It’s a 6 speed manual transmission and comes with x-brace tunnel suspension, 18” alloys, Bridgestone Potenza tires and color keyed exterior and body kit. The models are available in a range of 8 colors: Super White, Barcelona Red Metallic, Pyrite Mica, Black, Silver Streak Metallic, Magnetic Gray Metallic, Spruce Mica and Nautical Metallic Blue. There’s a 115V power outlet and as for the cargo bed, be as rough with it as you please – it’s fitted with a dent-resistant liner. Inside there’s a back-up camera with a rear-mirror mounted screen and a tilt and telescopic steering wheel frame for further comfort. Optional extras include power windows, climate control and a leather steering wheel grip. 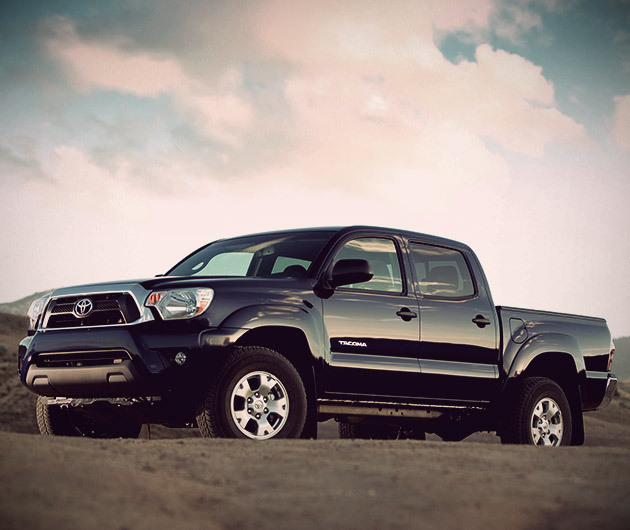 The TRD off-road package offers progressive-rate front springs, Bilstein shocks, B F Goodrich Trail Tires and 16” alloys. For those less concerned with dirt-track antics, the Sports Package supplies street-tuned suspension, low profile tires and 17 inch rims. A further Limited Package is up for grabs too with simulated leather upholstery, heated seats and chrome wheels, grille border and bumpers. As with all of Toyota’s toughies, the body-on frame design fixed upon a Prado platform with high mounted double wishbone front suspension and four link rear suspensions offer the smoothest ride over all terrains. 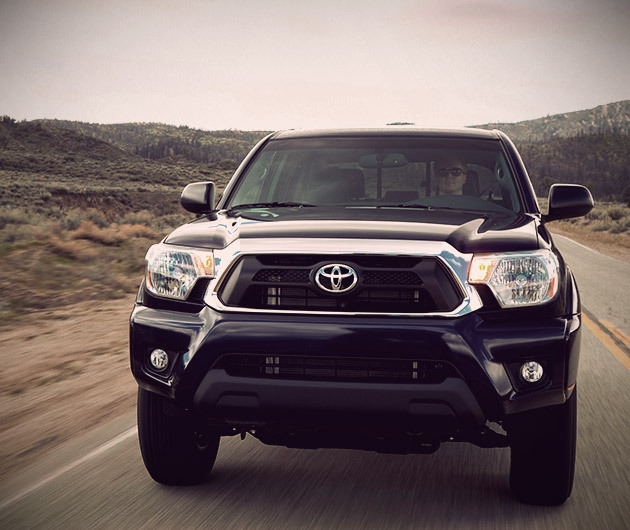 This, along with the Star Safety System as standard, which includes automatic limited-slip differential, stability control, anti-locking assisted brakes and traction control, makes the Toyota Tacoma also one of the safest, surest drives there is and perfect for both work and play.